Soon after its publication Dan Brown's Inferno predictably spawned an ecosystem—tweets, blog-posts, essays, books—telling us how he used and abused Dante Alighieri and the Divine Comedy in this thriller named for the poem's first and most famous part. A Dante scholar by trade, and an unrepentant fan of The Da Vinci Code and Angels and Demons to boot, I was genetically susceptible to the contagion. Shamefully easy prey for the book's marketing campaign, I auditioned for a spot among Dante's over-spenders in Circle 4 by paying an extra charge to have UPS deliver my copy right on the much-ballyhooed release date. Brown chose May 14, 2013—5/14/13—for his book launch because the numerals in reverse (31415) match the first digits of pi, the irrational number essential to the symbolic properties of circles, including the fact that they can't be squared (except by God), as Dante reminds us in the finale to his poem. More ingenious decoders will discover deeper numerological meaning within Brown's novel. But I take notice when 3 and 9, the most obvious Dantean ciphers, combine as the hotel room number (39) that pops into Robert Langdon's head when he believes he is speaking with the American Consulate. I immediately pick up a pencil and begin to deface my recent purchase. The circling, underlining, and scribbling really take off five pages later when "three-headed, man-eating Satan" grabs my attention: Langdon sees the image on a carved seal and identifies it with the Black Death, but anyone who has even skimmed Dante's Inferno knows where this is headed—straight to the poet's Lucifer, whose three mouths chew on the shade-bodies of three arch-traitors, one per mouth (Brutus, Judas, and Cassius). Flashing back to a lecture he gave in Vienna two years earlier, Professor Langdon remembers eliciting a gasp from his audience when he presented Botticelli's illustration of Dante's triune devil. The number three, standing for the Holy Trinity, is sacred for Dante. But precisely for this reason it has sinister connotations in the poem of Hell, from the three beasts that menace Dante in the Dark Wood and three-throated Cerberus in the Circle of Gluttony to the three Furies at the entrance to Lower Hell and three-faced Lucifer lodged in the frozen pit of the underworld. Langdon later recalls part of his lecture in which he riffed on Dante's obsession with three squared: the 9 circles of Hell matched by the 9 celestial spheres of Paradise with the 9-tiered Mountain of Purgatory in the middle. "As you've probably noticed," Langdon tells his listeners (and Brown winks to his readers), "the number nine is a recurring theme for Dante." Indeed it is. Even before the Divine Comedy saw the light of day, Dante found the number 9 everywhere in his glorification of Beatrice, from the age at which he first saw her and the time of night in which she visited his dreams to her position in a lyrical list of Florentine beauties. Even her death at age twenty-four became disturbingly timely when Dante reflected that the year 1290 was the ninth decade of the thirteenth century. No mere coincidence, this pattern of nines told Dante—who tells the world in his Vita Nuova­—that Beatrice, like the square of the Trinity, was herself a miracle, the poet's muse and salvation. Bertrand Zobrist, Brown's deranged scientific genius with a serious crush on Dante, also has something miraculous to share with the world. But he chooses Inferno, not Beatrice, as the name of his biomedical invention aimed at irrevocably altering the course of human history. Zobrist's Dante obsession shapes both his vision of our demise and his draconian plan to prevent it, down to the duration of the video announcement of his creation, "precisely nine minutes long . . . to the second." Brown later whispers this detail in our ear—twice—just in case the italics and ellipses fail to drive home the point that, as Langdon instructed his audience at the lecture, the number nine holds great meaning for Dante. Brown's novel, like all his thrillers, is chock-full of surprises and mysteries. Like Robert Langdon, the author's academic detective, readers must heed Dante's instructions to look "beneath the veil of verses so obscure." Written on the inside of Dante's so-called death mask, the poet's famous verse (here in the Mandelbaum translation) begins a spiraling funnel of letters that form nine concentric circles ending, as Dante ends each of the three canticles, with the word stars—though, as Langdon observes, these clues reverse the poet's journey: they lead not from Hell to the celestial bodies but to a monster submerged in a blood-red lagoon "that reflects no stars." In full professorial mode, Langdon explains that Dante's verse reveals the poet's allegory, his call to readers to find deeper meaning hidden beneath the literal veil. Brown, through Zobrist, here emulates Dante's allegorical mode by setting clues leading his characters and readers to discover the scientist's diabolical creature in a starless lagoon. One mystery, however, is never revealed in the novel and—to the best of my knowledge—has so far remained hidden beneath the veil. The secret, fittingly, is another date and its significance. Submerged like the contagion that drives its plot, the underwater enigma of Brown's Inferno is the date when all hell is set to break loose. But before we can figure out the rationale for this date, we have to find it. For this, thank heaven, Brown leaves a trail of crumbs. A conventional date for Dante's descent into the underworld is March 25—a Friday—of 1300. March is also the month of Robert Langdon's infernal adventure, but, alas, it nearly all takes place on a Monday, after his memory of what happened over the weekend has been almost completely erased. Brown's mystery date, though textually AWOL, appears in the video that is viewed multiple times by various characters. This Dante-timed recording reveals the date on a plaque at the bottom of a red lagoon. But not to us. The novel withholds this information the six times the submerged inscription appears on the page, declaring, "IN THIS PLACE, ON THIS DATE, THE WORLD WAS CHANGED FOREVER," followed by Zobrist's signature and the date. We are eventually told the place and how the world was forever changed. But never the date. The characters see a day, month, and year, but all we get is "ON THIS DATE," the capital letters mocking our ignorance. No fair? No doubt. Yet Robert Langdon is deprived of his totem Mickey Mouse watch for nearly the entire novel and still manages to tell time. So can we. Like the day Dan Brown's Inferno entered our world, the date on which the book's world changes is not arbitrary. The opening pages tell us that "today" is Monday, March 18, making Doomsday—the "tomorrow" on which the mad scientist aims to change the world—Tuesday, March 19. But what year? The novel, with its iPhone and iPad product placements and its allusions to Fifty Shades of Grey and the like, screams "close to the time of publication," and this is indeed the case: the only recent year in which March 19 fell on a Tuesday was 2013. But why does Brown have Zobrist change the world on March 19, 2013? Numerically speaking, 31913 stands out, intended or not, as a palindromic homage to Dante's love of 3 and 9. The code-loving novelist who wanted his book released on another symbolic date (giving, in reverse, the first digits of pi) could not have found a more aesthetically pleasing date for the story's climactic event. But text and context suggest another, historical explanation for Brown's choice of the fatal date: March 19, 2013 is the day Cardinal Jorge Mario Bergoglio was installed as Pope Francis—the first pope to take the name of the saint known for "protecting all creation" and "respecting the environment in which we live," as the new pontiff described Francis of Assisi in his inaugural papal mass. Zobrist brazenly planned to announce his radical method of upsetting the natural order through population control while the world turned its eyes to an institution he held responsible for exacerbating the existential threat of overpopulation. There was no better time than the day on which over 150,000 people, including dignitaries from 132 nations and international organizations, attended the installation mass in St. Peter's Square, with many of the world's 1.2 billion Roman Catholics and millions of other well-wishers following the event on television. No wonder the normally imperturbable Provost, head of the organization that shielded Zobrist while he worked on his scientific masterpiece, "set his jaw and exhaled, swallowing his displeasure at the man's brazenness" when he saw Zobrist circle the date in red marker on board the Mendacium, the novel's ship of lies that serves as the command and control center of the Consortium, an ethically-challenged organization that traffics in deception to protect its clients. No wonder the Provost fell from sobriety and poured himself a glass of Scotch for the first time in fourteen years when he looked again at the "crazed ring of red ink around an apparently special day." No wonder Dan Brown, whose The Da Vinci Code and Angels and Demons incurred the Vatican's wrath, both highlights and obscures the date, repeatedly flashing it before his characters' eyes while keeping it from ours. "The Vatican hates me," Elizabeth Sinskey, Director of the World Health Organization, confides to Langdon when he suggests she contact its renowned library for help in interpreting Botticelli's Map of Hell. "You, too?" he quips, speaking as much to Dan Brown's reputation as to his own, "I thought I was the only one." Dante, of course, had pope problems of his own, most famously in the person of Boniface VIII, whose election, anticipating by seven centuries the unusual circumstances that gave us Pope Francis, followed on his predecessor's abdication. By allowing Dante's political adversaries to take over Florence while he was away from the city, Boniface was the person most responsible for the poet's exile. 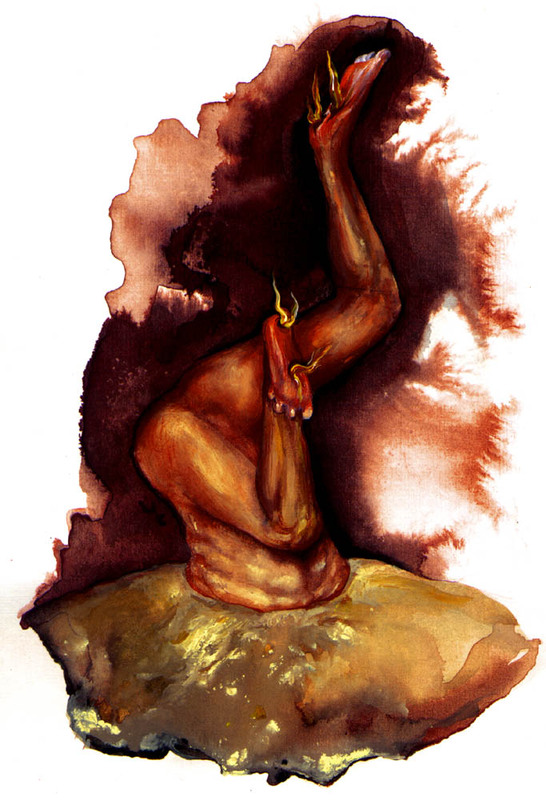 Dante, who never again set foot in Florence, gets his revenge in the Divine Comedy by condemning Boniface to Hell even before his death: he will join the corrupt popes and other clergymen buried headfirst, their writhing legs protruding from the ground. This image, no surprise, is the one from Dante's Inferno that appears most often in Brown's novel. We're told of these upside-down legs—with the added detail of the letter R written in mud on one pale thigh—four times before learning that Langdon first saw them on Botticelli's Map of Hell, an altered circle of which (Malebolge) provides the first major clue to finding Zobrist's infernal creation. Robert Langdon, our Virgil in this modern Inferno, takes us on a tour of major cultural sites in Florence, Venice, and Istanbul. But peering "beneath the veil," we find papal clues showing how Dan Brown follows Dante in leading us (again) straight to Rome. Dan Brown, Inferno (New York Doubleday, 2013). The most substantive works on Dante and the novel are Deborah Parker and Mark Parker, Inferno Revealed: From Dante to Dan Brown (New York: Palgrave Macmillan, 2013), 165-220, and Dan Burnstein and Arne de Keijzer, eds., Secrets of Inferno: In the Footsteps of Dante and Dan Brown (Stamford, Conn.: The Story Plant, 2013). Secrets of Inferno contains an interview with Steven Botterill and essays by Teodolinda Barolini, Alison Cornish, Giuseppe Mazzotta, and William Cook. Par. 33.133-41. For mathematical proof of the (human) impossibility of circle-squaring, see William Dunham, Journey through Genius: The Great Theorems of Mathematics (New York: John Wiley & Sons, 1990), 23-26. Ibid., 78, 144, 183, 248. "Sotto 'l velame de li versi strani" (Inf. 9.63). I cite Giorgio Petrocchi's edition (Turin: Einaudi, 1975). Brown, Inferno, 253-56, 275-80, 339. Robert Hollander and Jean Hollander, Inferno (New York: Anchor Books, 2002), 12. Brown, Inferno, 27, 41-42, 281, 311, 345, 414. David A. Shugarts, "Dan Brown the Infernal Novelist," adduces other evidence to establish the crucial date as March 19, 2013 (Secrets of Inferno, 195 and 204-205). Zobrist's method for "thinning the herd" is not, as feared, a global plague, but rather a vector virus that establishes and maintains a global population equilibrium by sterilizing one third of the world's people. This massive sterilization will have taken place by March 19, 2013, the global-saturation date of the virus (Brown, Inferno, 432). Brown, Inferno, 75, 77-78, 223, 345-46. An absent presence in Brown's Inferno, Pope Francis figures in the author's Origin (New York: Doubleday, 2017) as "the most liberal pontiff in Vatican history," one who poses an explicit threat to those for whom "two thousand years of tradition seemed to be evaporating in the blink of an eye" (120, 137). The film adaptation of Inferno (Sony, 2016), directed by Ron Howard and starring Tom Hanks as Robert Langdon, reduces or eliminates many ambiguities and nuances of the novel, including the date and its significance. The plaque we see says only "rebirth." Ibid., 9-10, 29, 37-38, 45, 65, 91, 240, 269-70. When put in their proper order, the letters—one per bolgia—spell cerca trova, "seek and ye shall find," the phrase inscribed on a green banner in Giorgio Vasari's fresco The Battle of Marciano in the Palazzo Vecchio's Salone dei Cinquecento.